FRIDAY, May 11, 2018 (HealthDay News) -- The number of seniors dying from falls has increased dramatically over the past decade, U.S. health officials reported Friday. Across the nation, the rate of deaths from falls among those 65 and older increased 31 percent from 2007 to 2016 -- from about 18,000 to nearly 30,000, researchers found. "If deaths from falls continue to increase at the same rate, the U.S. can expect 59,000 older adults will die because of a fall in 2030," said lead researcher Elizabeth Burns. She's a health scientist at the National Center for Injury Prevention and Control, which is part of the U.S. Centers for Disease Control and Prevention. Falls are the leading cause of both fatal and nonfatal injuries among adults aged 65 and older, she added. "Falls are a common, serious and growing public health problem," Burns said. "Falls often result in substantial medical expenditures to treat fall-related injuries." As the U.S. population ages, the number of seniors injured and dying from falls is expected to keep rising, the researchers noted. 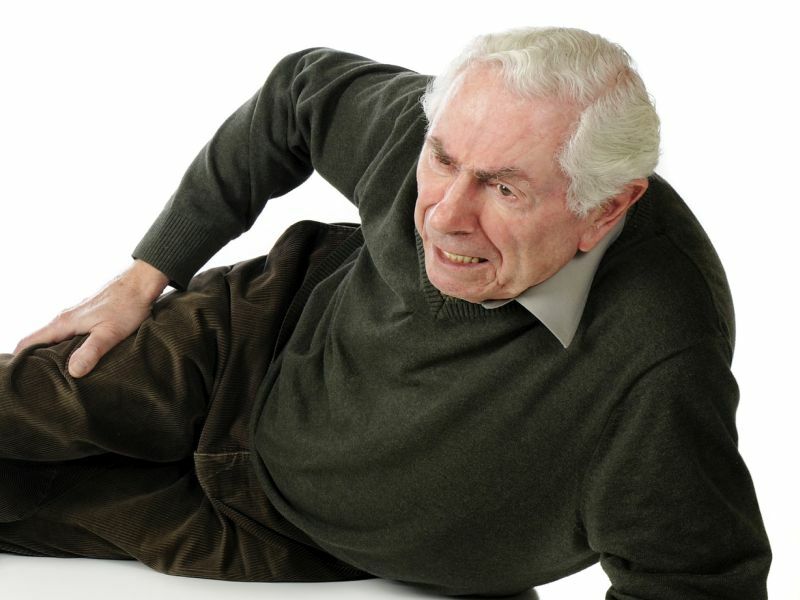 "Falls may be increasing because older adults are living longer with chronic conditions," Burns suggested. "The chance of falling increases with age, and risk is higher with certain chronic diseases, such as a history of stroke, arthritis, diabetes, dementia and Parkinson's disease," she explained. Other risk factors include muscle weakness, difficulty walking, and using medications -- especially those for anxiety, depression, or difficulty sleeping, which can cause dizziness or confusion. Poor vision and environmental hazards also contribute to an increased risk of falling. "Falls are preventable. While the rate of deaths from falls is increasing, older adults can take steps to prevent falls, including talking to their doctor and staying active," Burns advised. While there are many effective fall-prevention measures one can take, an important strategy is to encourage health care providers to discuss falls with their patients, she said. Doctors should screen for fall risk, and assess medication problems with walking and balance. "Falls are not an inevitable part of aging," Burns stressed. Dr. Gisele Wolf-Klein is director of geriatric education at Northwell Health in Great Neck, N.Y. She pointed out that, in many cases, "seniors are reluctant to admit they have fallen, because they fear it will limit their independence." Wolf-Klein said seniors can sometimes prevent falls by being aware of the dangers, and taking steps to mitigate them. These can include installing grab bars in bathrooms and tubs, removing throw rugs, and making sure slippers and shoes have nonslip soles. In addition, some may need to avoid stairs, and have their bedroom and bath on one floor, Wolf-Klein said. Also, seniors need to keep active, which is a great way to prevent falling, she said. "It's important to tell your doctor if you've fallen," Wolf-Klein said. "Because if you've fallen, it's likely you will fall again, and falls can cause major problems." The new report covered deaths from falls in 30 states and the District of Columbia between 2007 and 2016. It included both men and women, along with people of all races and ethnic groups. People aged 85 and older were the most likely to suffer a fatal fall. Among these folks, the rate of deadly falls increased nearly 4 percent each year, the investigators found. Wisconsin had the highest rate of fatal falls, at nearly 143 per 100,000 people aged 65 and older, while Alabama had the lowest, at 24 per 100,000, the findings showed. The report was published May 11 in the CDC's Morbidity and Mortality Weekly Report.